Korean-American filmmaker Grace Lee grew up in Columbia, Missouri. There were not many other Asian families in the university town in the Midwestern part of the U.S. When she was a girl, her family tried to fit in with American culture. That culture included food. "We sort of kept our kimchi to ourselves in our basement refrigerator," Lee says. 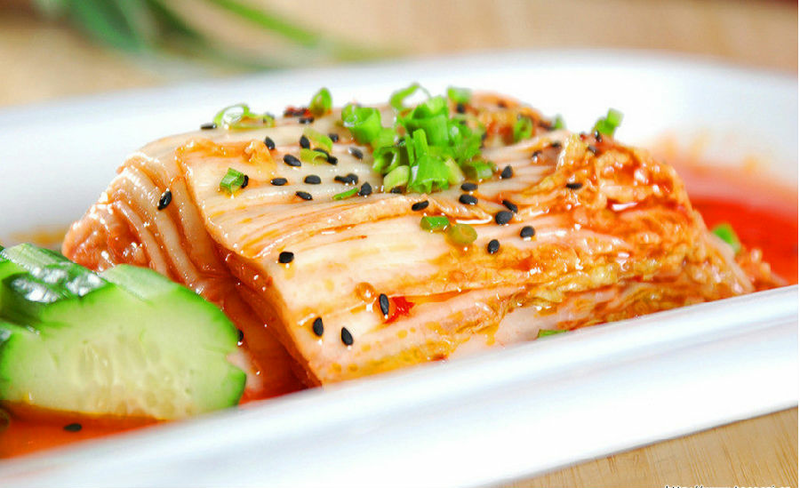 Kimchi is a well-known Korean condiment made from fermented cabbage, radish, scallion or cucumber. But in the 1970s and 1980s when Lee was young, people in places like Columbia, Missouri would never have known what kimchi was. "We never exposed it to anybody," Lee says. Over 30 years later, food culture in the U.S. has changed a lot. Kimchi is now found as a condiment on American foods like hamburgers. Lee wanted to examine the evolution of Asian food in America in her documentary Off the Menu. It came out in 2015. Lee's work is now available on DVD and as part of the American Film Showcase. The program brings documentaries and independent films to audiences around the world. The showcase is part of a program supported by the U.S Department of State and produced by the University of Southern California. Audiences in countries like Armenia, Nepal and Vietnam see American films. Experts lead discussions about the films as a way to help people around the world better understand American culture. Lee traveled around the U.S. to make her movie about Asian food. She did not think tofu would be a very popular food in a state like Texas. She spoke with Texan Gary Chiu, the son of immigrants from Taiwan. He runs the oldest tofu factory in Texas. Chiu said he makes both tofu eggrolls, a traditional Asian food, and tofu tamales. Tamales are a traditional food from Mexico. Lee says Chiu's business is an example of fusion: mixing the food culture of China, Mexico and Texas. Some people say food helps the healing process. Lee wanted to find out if that was true. In 2012, six members of a Sikh temple in the Midwest state of Wisconsin were killed. A man with a gun entered the temple and started shooting as people in the temple were getting ready for a meal called langar. Lee talked with people from that temple. They told her they continued the tradition of langar even after the shooting. They said it helped heal the community. "You can't pray, you can't be in tune in with God, unless your belly is full," one temple member said in the film. Off the Menu ends its 60-minute tour of the U.S. in Hawaii. One family still tries to practice the traditional Hawaiian large meal called a luau. Although much of the food consumed by Hawaiians is imported, Hi'ilei Kawelo says she and her family try to catch seafood just like their ancestors did. In the film, she tells Lee "when you eat it, you're eating the essence of all the skills passed down from generation to generation." The Center for Asian American Media, which helped pay for the film, also talked with Lee about her film. She said she hoped the documentary would help people learn more about what it means to be Asian-American. She wants viewers to learn about the people behind the food that has become a big part of life in the U.S.
"To really do the topic justice, we'd probably need an ongoing series," Lee said. An intimacy grew up between us. Can you fit in a visit to me? That's just the sort of thing I want. I'll find out the address,and ring you back. 1.In the film, she tells Lee "when you eat it, you're eating the essence of all the skills passed down from generation to generation." This title will only pass down through the male line. Pass tools down to me before you come down the ladder. 2.A man with a gun entered the temple and started shooting as people in the temple were getting ready for a meal called langar. They were busy getting ready for their journey. Both Tom and I are getting ready for tennis match.